Fort Walton Beach makes GRAB!! Fort Walton Beach FD Engine 7 makes a grab at daytime fire in a duplex. Grab made at working duplex fire in Fort Walton Beach today. Ocean City E1 and E3 made the push, Fort Walton Beach FD Engine Co. 7 made the grab of an adult in a bedroom of the fire apartment. He is expected to survive. Expect Fire…Expect Rescues…Everyday. This is where we make a difference. Regardless of Time of Day, S E A R C H… How many civilians die each year because failure to PUSH INSIDE and conduct an AGGRESSIVE SEARCH?? The civilians come first at a fire until we’re the ones trapped. They can’t call a MayDay, but we can..
Take the time and watch this video. This is why we train and practice going interior. It takes practice to get it right. It’s Worth The Risk! 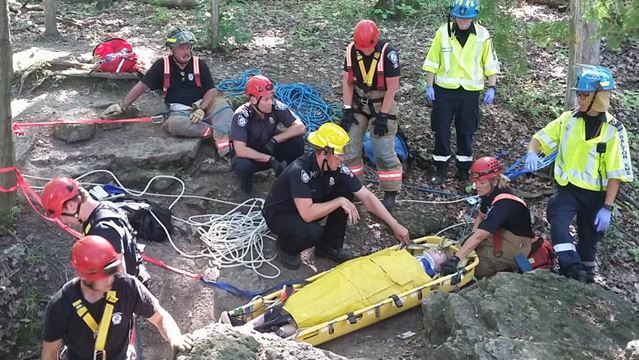 Two siblings from Milton were transported to a local hospital with minor injuries after falling upwards of 20 to 25 metres at Burlington’s Mount Nemo Conservation Area early Wednesday afternoon. 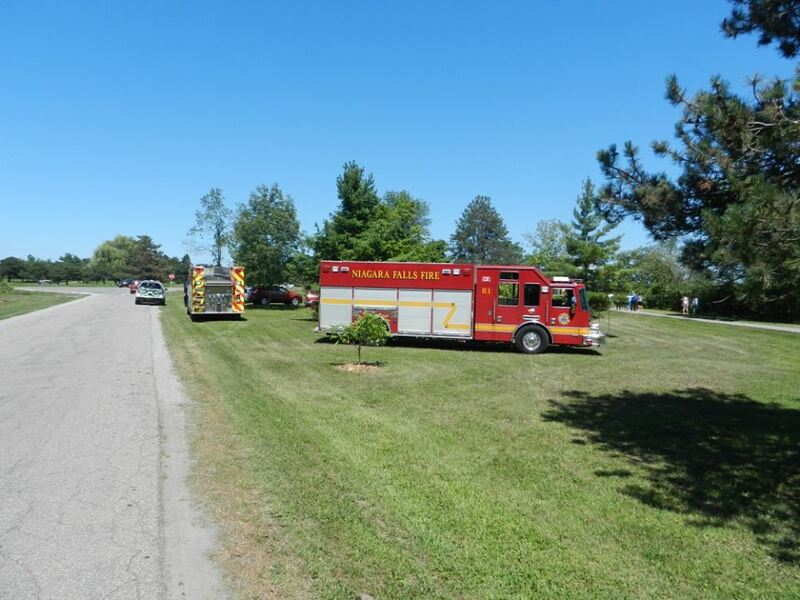 A bystander called police at approximately 2:40 p.m. after finding the two people conscious and breathing in a crevice at the park, near Guelph Line and Britannia Road. Halton police said the victims were a 20-year-old male, who had suffered apparent head injuries, and his 16-year-old sister. The extent of the girl’s injuries is not known. Police said the two were taking a photo when they got too close to the edge of a drop-off and tumbled into a crevice below. Acting Burlington Fire Platoon Chief Phil Barry said emergency crews performed a high angle rope rescue to lift both parties up to safety using a bucket-style backboard. Halton’s Paramedics Services said both were rushed to a local hospital with minor injuries. Thursday night at 8:50 p.m., the Chattanooga Fire Department received a 911 call of a possible kitchen fire at the Extended Stay hotel at 6240 Airpark Drive. Chattanooga firefighters responded with six fire companies to the scene. The first arriving company made an investigation to the apartment and did not see anything out of the ordinary from outside the structure. Firefighters from Engine 8 made a quick decision to force entry into the room, where they encountered heavy smoke and a woman lying unconscious on the floor. The firefighters quickly removed the woman from the room and extinguished the smoldering fire. The victim was taken by Hamilton County EMS to Erlanger Medical center for treatment of smoke inhalation. Firefighters later said that her injuries did not appear to be life-threatening. Captain Andrew Waters with the Fire Investigation Division has ruled the cause of the fire accidental. Captain Waters said the woman was burning papers in a plastic trash container when the fire got out of control. 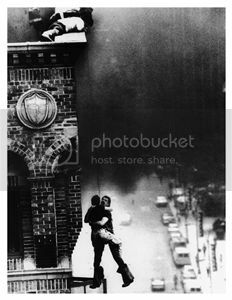 The woman called 911 and tried to put the fire out herself with water, but the smoke was too intense and she passed out. The dollar loss was estimated to be around $2,000 to the room. 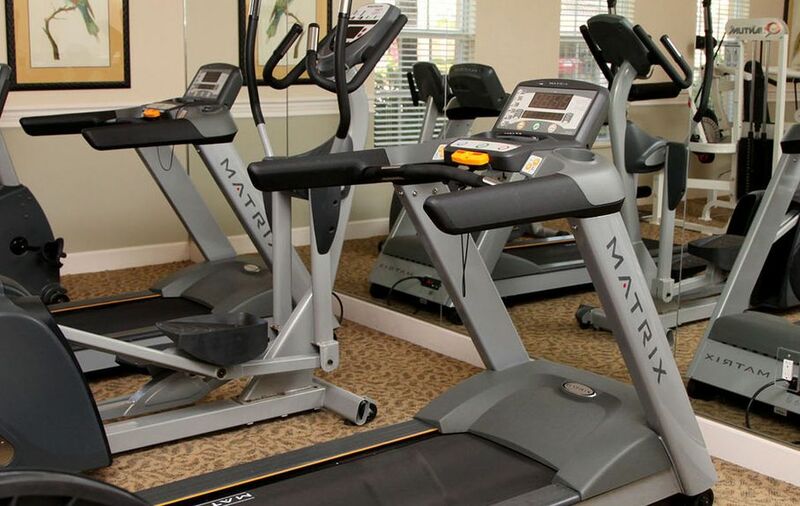 Fort Lauderdale firefighters rescued a man after he got his head stuck in a hotel’s exercise machine Wednesday, the Orlando Sentinel reports. The guest got stuck at around 11:30 a.m. at the W Hotel at 401 North Lauderdale Beach Blvd., when he reportedly tried to work out his shoulders on a piece of equipment. “He fell off the machine and he got caught up in the weight machine,” said Capt. Greg May of Fort Lauderdale Fire Rescue. According to May, the Fort Lauderdale Fire Rescue’s Technical Rescue Team got torches and saws to help free the man, but before they started another crew member “manipulated the man’s head out of the machine using a bar,” he told the Orlando Sentinel. The man, about 60 years old, suffered significant injuries and was taken to Broward Health Medical Center. 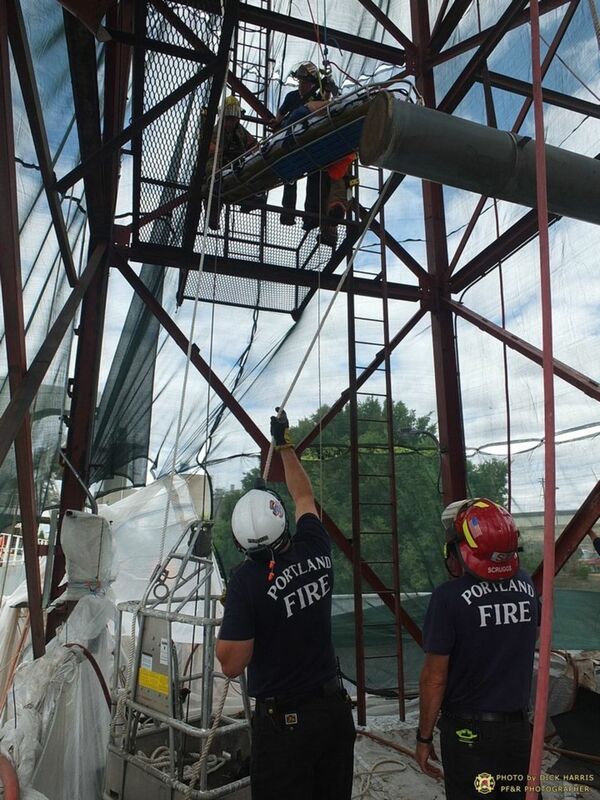 Portland Fire Bureau firefighters on Tuesday morning rescued a man who fell while working on a tower at a grain elevator terminal. Rescuers responded at 10:33 a.m. to a high-angle rope rescue call at the Temco terminal in the 800 block of North River Street. It is in an industrial area along the Willamette River in North Portland. 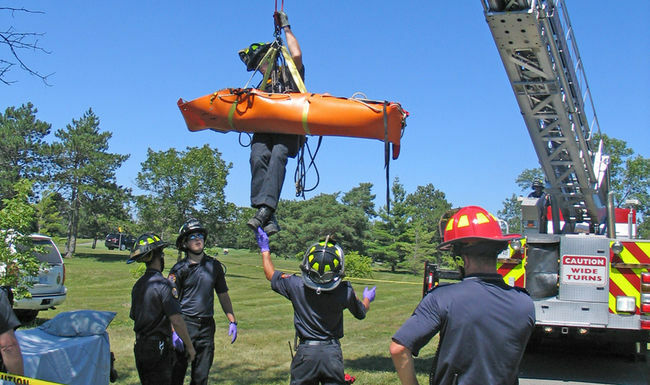 A man in his mid-30s fell when the basket that was supporting him failed. Portland Fire Bureau spokesman Terry Foster said the basket fell into the Willamette River. 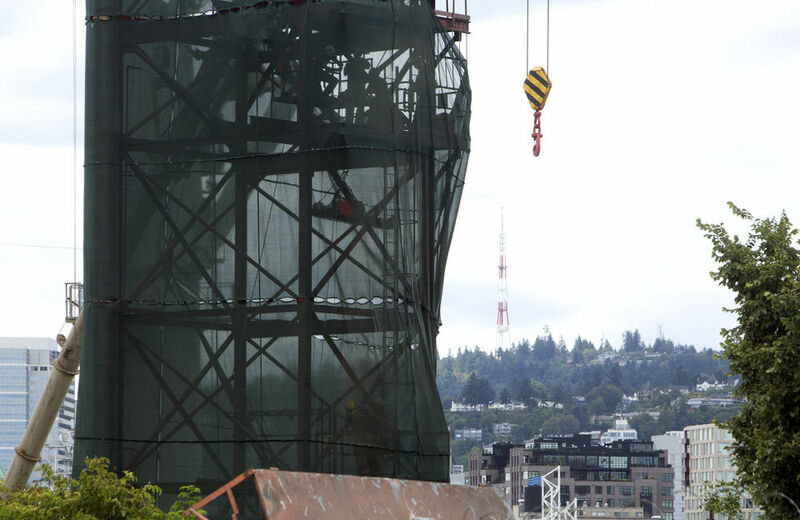 A safety harness swung the worker back inside the tower, where he injured his arm. 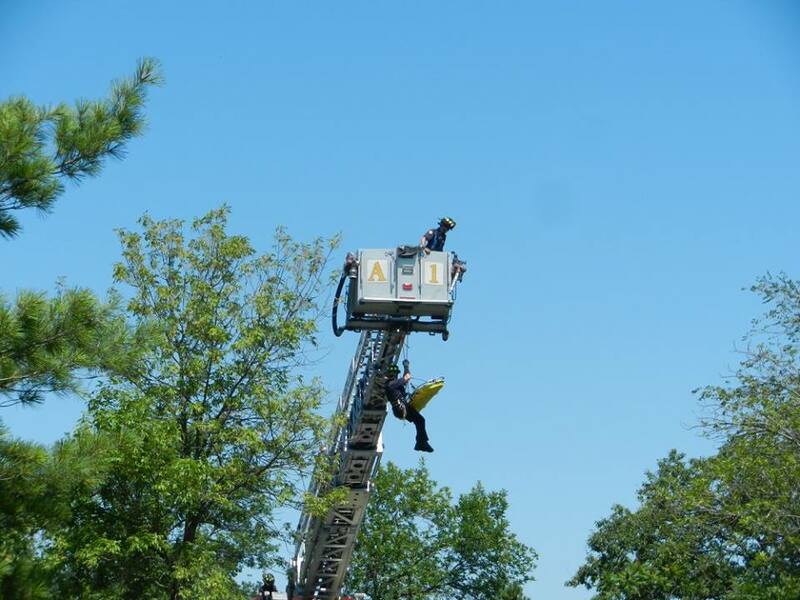 The man was suspended about 40-feet from the ground. 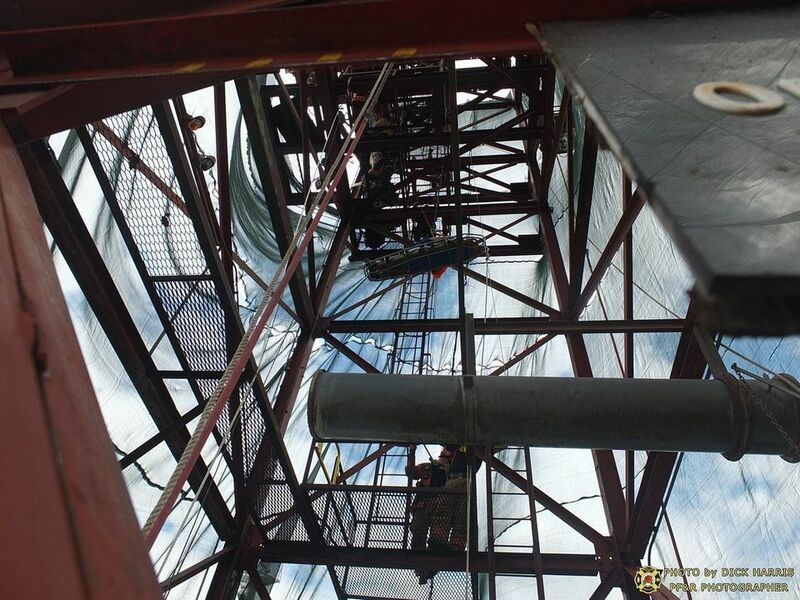 Rescue workers maneuvered the man from tower placed him in an awaiting ambulance. He was taken to Legacy Emanuel Hospital for treatment. The worker’s condition is unknown. Foster described the man’s injuries as non-life-threatening. Firefighters rescued an 80-year-old woman and a dog from a burning house in Deerfield Beach on Wednesday afternoon, a Broward Sheriff Fire Rescue spokesman said. A woman called 911 about 4:20 p.m. after seeing her neighbor’s house on fire, spokesman Mike Jachles said. 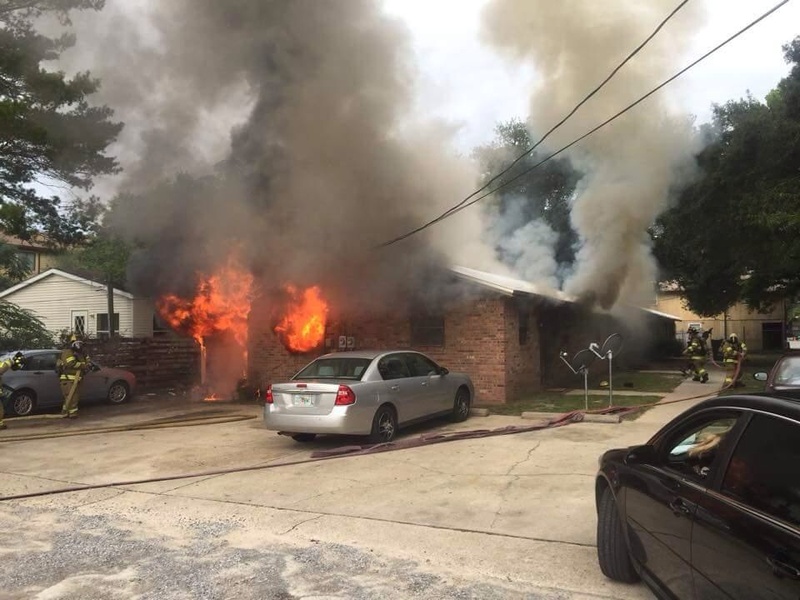 Rescue crews encountered heavy smoke and flames when they arrived at the house in the 5300 block of Northeast Eighth Avenue. Firefighters searched the one-story, single-family home and found an 80-year-old woman in a back bedroom that was filling with smoke, Jachles said. The woman initially refused to leave the room, which was located next to the room on fire. Rescue crews eventually helped the woman out of the house and treated her at the scene, Jachles said. The woman, whose name was not released, refused transport to the hospital, he said. Firefighters went back inside the burning house to rescue a Rottweiler that was found hiding under a bed behind a pile of clothing, Jachles said. Crews lifted the bed, coaxed the dog out of the house and gave it oxygen. Both the woman and dog were “doing fine” late Wednesday, Jachles said. A man and two boys were also in the house when the fire ignited but made it out safely before rescue arrived. It took firefighters less than 15 minutes to put out the blaze. Fire marshals from the state and county investigated the fire and determined it had been intentionally set, Jachles said. The woman’s grandsons, ages 5 and 7, used a lighter to ignite a mattress propped against a bedroom wall, Jachles said. The boys were referred to the Broward County Juvenile Firesetter Prevention and Intervention Program, which is designed to educate children and parents about fire safety and the consequences of starting fires. Investigators also learned there was a delay in calling 911, Jachles said. People at the house tried to put out the fire themselves using a hose, he said. 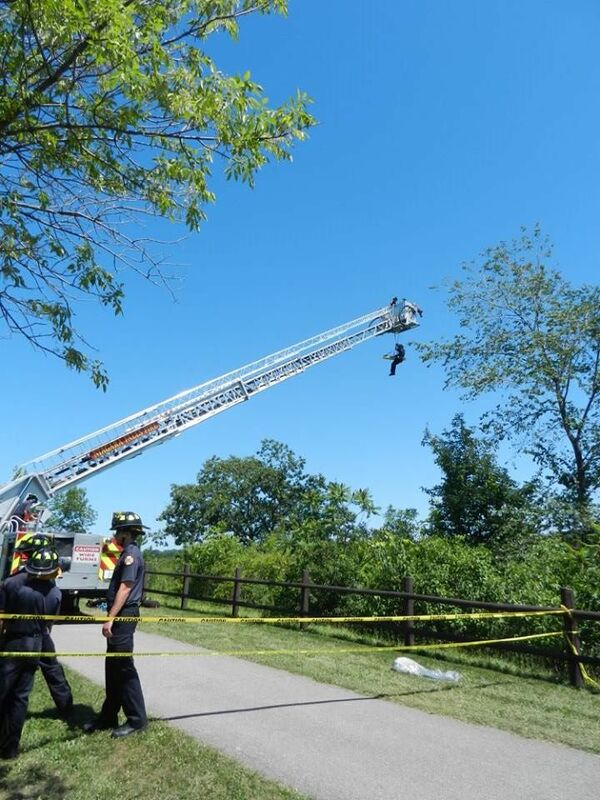 TRUMBULL, Conn. (WTNH) — A ladder partially impaled a man’s leg in Trumbull after it and the tree he was working on somehow fell. 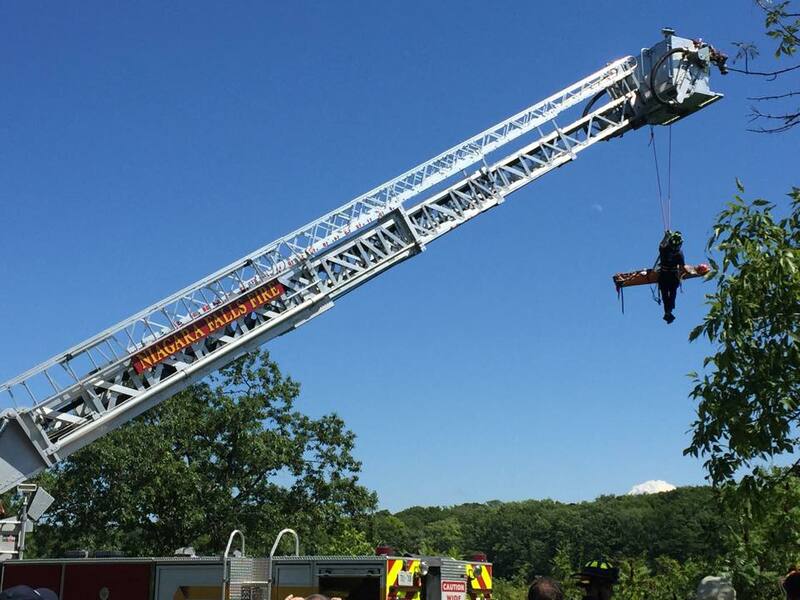 “We received a call with Trumbull EMS that a victim was stuck in a tree, about 13 to 15 feet in the air,” said Deputy Chief Alex Rauso, Long Hill Fire Department. A man cutting tree limbs while on standing on a ladder on Fresh Meadow Drive found himself trapped between an enormously heavy tree limb and the ladder he was working on, digging into his upper leg. “We estimated it was probably in excess of 2,000 pounds with a ladder partially impaled into the victim,” said Rauso. It took rescuers close to two hours to free the man from his predicament. He was conscious and speaking during the ordeal. “Firefighters did an extremely amazing job. It was very detailed, very challenging, and their efforts were extraordinary today,” Rauso said. Trauma doctors were called in to assist with the delicate procedure in hopes of saving the man’s life. “Being that the distance he was in the air, the weight of the tree on him, his condition, we had to work extremely careful to not make the situation any worse,” said Rauso. The man was rushed to a hospital. His identity and condition have not been released.